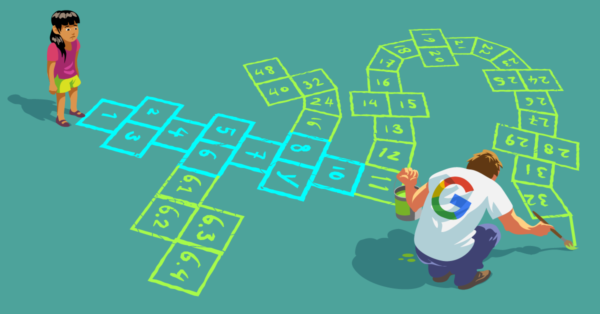 In the week of August 1st Google rolled out a “broad core algorithm update.” This update has been dubbed the “Medic update” online. We know it was that because they said so on Twitter. There was quite a bit of buzz around this update. Some sites “won”, others “lost”, which is logical because, in the end, this is pretty much a zero-sum game. We’ve been trying to make sense of what happened; this post explains what we know. Why is it called the Medic update? It’s called the Medic update because Barry Schwartz, one of the most prolific writers in the search industry, called it that. It doesn’t mean this update only affected medical sites. What do we know about this update? If you think this isn’t helpful: we’re sorry. It probably is the best advice you’re going to get around this update or any update for that matter. You shouldn’t “just” build great content though. Great content has to fit with the goal of your site, whether that’s informing people, selling products or something else. But what does “the data” say? There are a lot of tools out there, like SearchMetrics and Sistrix, which check the rankings on millions of keywords and tell us what changed. From looking at it, you might get the idea that you understood what happened. Except there’s a problem. Even by looking at the top 50 domains in either tool, you’d still be looking at only a fraction of the data. So: all of what follows is by no means science. It’s anecdotal. For searches towards large brands — think KLM, IBM, McDonald’s, etc. — Google seems to have slightly changed what they show. This now almost always includes a “jobs at” type result, which resulted in a huge uptick in those rankings for some large job sites. On the whole, commercial sites seem to be doing better. Among the examples we see are eBay in the US and Germany and Marktplaats (which is owned by eBay) in the Netherlands, but also non-eBay commercial sites. When they do better, content sites in those results have taken a hit, and some price comparison sites also seem to have taken a slight hit. Is the Medic update about intent? In discussing this, we have a hunch of what Google tried to do with this Medic update: it seems to try and show results that better match the intent of the search. This would fit with another bit of news that came out of Google recently: updated search quality rater guidelines. Google has also added the concept of “beneficial purpose” to the Quality Rater Guidelines, where raters are not just asked to rate the quality of the content, but also consider whether the page has a beneficial purpose or use to being on the site. What would a visitor to the site gain? The idea of the “purpose” of a page ties in with the intent a searcher has for a query. Let me explain: If I’m searching for a “LEGO minifigures display case”, I either want to learn how to make one, or where to buy one. Pages in my results should either explain to me how to build one or try to sell me one. If I search for “buy LEGO minifigures display case”, Google can leave out all the pages explaining how to build one. Most of the Healthcare website got drastic ranking down after this Update. Thanks for sharing this information, however, Google has said that there is no fix for this update just keep continue the focus on quality content and website. I was wondering it might be good if Google provide few information for the recovery as well. I think there is a little misstaken in the following sentence. “Joost de Valk is the founder and CEO of Yoast. He’s a WordPress / Web developer, SEO & and an Open Source fanatic. “. ”& and” is two times the same. On topic, last week I have been busy adding manuals to my products on my website. So what would be the outcome if you have to make a Guess? A)Will google display my pages on both examples of intent? B) will google leave my results out on both examples? 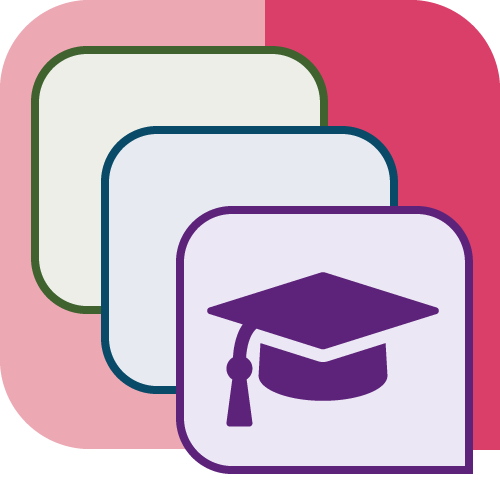 Hi, i am a free user of yoast but will go for the paid version as soon as i can. One thing i have noticed about the Google seo change is that it has given social media like facebook a better rank. My question is Fb a company of google or a competitor in the advert world….why giving high ranking to fb to hard program websites….its a pity. Google said if you do not get your site encrypted then you will drop down the rankings. I run a local business only to find that 3 of my competitors who have not encrypted their sites, yet because the pay Google via Addwords they rank above me on a search and the searcher is encouraged to click on a unencrypted site without any warnings. Sorry but my feelings are that money talks and Google has to change things for the sake of change. Write a better content, build a site that people want to visit, blah blah blah… What I see so far is that scammers and big companies have the best results there, you search for articles and youtube videos come in search results. If a user want to look a video he can search at videos. I also don’t understand why this update hit so hard health and medical websites, especially, natural healing websites. I have write an article about this. The reason natural health sites were hit is because they don’t fit into the mainstream narrative, i.e. the big pharma, AMA, allopathic narrative that ONLY drugs can be used to treat illnesses. Wake up, folks! This isn’t just about enhancing search quality. It’s about censorship. It’s about social engineering. It’s about molding public opinion ever so slowly as to be imperceptible. It’s about programming you to mindlessly go along with whatever “authorities” tell you. Natural health sites in my experience are often less about compelling content than selling a product. Selling a product is fine, I love selling product, but if the purpose of the a page is to just push a product the content becomes thin and repetitive. Details and facts matter and Google’s latent semantic search is better able to pick up on relevant details and facts associated with the main subject of the page. If the content discusses a certain topic, Google is looking for facts and evidence, preferably original, that backs up and enhances the focus of the page. Just saying a products works with some engaging anecdotes is not enough. I think more and more, Google looks for words and phrases it considers necessary to rank well for a given keyword. That just reinforces the need for long, meaty articles and too often lots of sites don’t offer that, natural health sites or whatever. Large companies employ the talent and time needed to offer what Google is looking for, content to solve problems. Little guys like me don’t have that kind of luxury. To rank, content must be focused and detailed and long. Throw enough stuff on the wall and something is bound to stick. 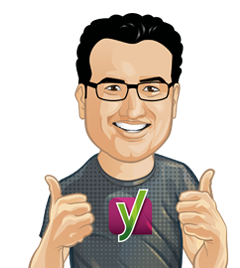 Hello Yoast-Team & thanks for this post. For my Low Carb Recipe-Blog, I’ve experiencing also a drop of about 20% of the traffice since 1st of August. Checking keyword ranking from other Blogs and Portals I recognized, that several Keyword-Domains gains traffic. Event then, when (IMHO) their content isn’t that of quality you would expect here. My competitors for the best rankings are the biggest names in Germany, most of the could keep the ranking. So I agree that Medic Update had an impact specially for Blogs. Best regards. great article, but as the other comments say, can you guide us on getting a better ranking? Please provide a solution of How one can get over from such a situation if their website traffic has affected by this update. my site is also affected by this update. for some keywords the was 5 and it is 15. the traffic has also gone down. what can I do to improve my ranking back? Can I assume that when a user actually converts and places an order, that user wanted to visit The site? Please suggest how to really rise from this condition if our traffic has gone drastically down. I don’t know someone noticed this or not but this update has affected the technology niche too. Almost all my tech blogging circle has noticed this behaviour of algorithm update, mostly small blogs are affected. Really good points about The new Google ‘Medic’ update! Keep up the good work Joost De Valk!